are no contraindications to the massage. Safety and security is the number one priority. part of the massage. Here are some of the modalities. compression) with Myofascial Release (gentle stretching of the tissues to release adhesions), to relieve a specific pain pattern, caused by hyper irritable spot within taut muscles and fascia. We then use the stretching technique of a PNF stretch to take the muscle to its new length, thus giving you more flexibility. Pregnancy is a change in a women body physically, mentally and emotionally. With the constant ongoing changes to the body you will fill a shift in all areas both physical and mental. Massage can address all changes designed accommodate you at all stages of pregnancy. I combine Swedish, strain/counterstrain stretches and trigger point into the massage to get the relief you are seeking. Prenatal massage is designed with consideration to the mother and fetus, it is safe during all stages of pregnancy with all precautions taken. It supports and respect the physiological systems that are strained and overworked for the growth of the unborn baby. 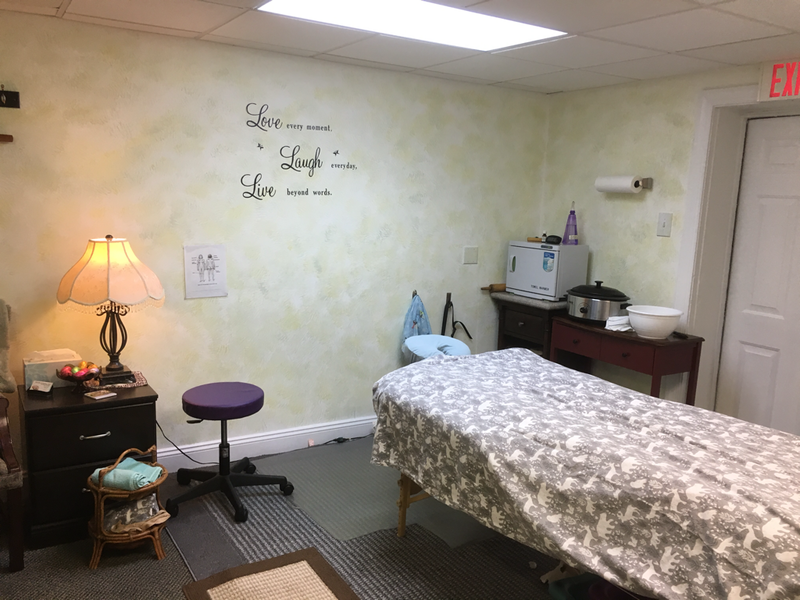 Therapeutic massage can decrease muscle tension/ strain, reduce edema, aid over stretched muscles improve range of motion, enhance circulation and relieve pain experienced from Trigger Points along with a whole list of other benefits. Swedish uses long guiding strokes complimented with gentle kneading, vibration, tapotement and stretching that improves circulation, relieves muscle tension and promotes relaxtion just to name a few. Manual Lymph Drainage can give you a boost to the Lymphatics system with light, slow and repetitive strokes. It facilitates the removal of excess fluids and waste in the connective tissues. It also decreases sympathetic response, pain relief/analgesia (overlapping effect), and increase of venous back flow. Manual Lymph aid in reducing edema caused by injury, chronic inflammation, and post cosmetic surgery. Anyone who suffers from Lymphedema (primary and secondary forms), chronic inflammation, circulatory disorders, than Manual Lymph Drainage may be for you. Deep tissue massage uses firm pressure and slow strokes to reach deeper layers of muscle and fascia wtih some trigger point therapy. It's used for chronic aches and pain and tight areas such as thevneck and upper back, low back pain, leg muscle tightness, and sore shoulders. Deep tissue massage isn't the same as having a regular massage with deep pressure.It's used to break up scar tissue and physically break down muscle "knots" or adhesions (bands of painful, rigid tissue) that can disrupt circulation and cause pain, limited range of motion, and inflammation. At the beginning of the massage, lighter pressure is generally applied to warm up and prep the muscles. Then deeper stroke with friction and other tech. are applied. Chair massage is a great way to get rejuvenated at work or play, by reducing stress and promoting better health care. Companies such as Motorola and Google have Chair massage in the workplace because they know it is highly beneficial component to employee wellness. You can arrange your party or work place around, lunch hours, evenings or any other down time. Everyone can receive 5 to 30 minute in the chair depending on what is alloted. continuous laminated sheet that goes on without interruption. When this is damaged (from injury, inflammation, disease, surgery, etc.) it scars and hardens that can place tension and pain/sensitvity on structures and cause pain/sensitivity in other parts of the body. it is so gentle to receive Myofascial Release. During this routine I take the muscle to its end range then resistance is applied then the muscle is taken to its new range. This type of gentle stretching increases theflexibility of the muscles so you get more range of motion. This type of stretch is good for those with limited motion or painful. In a contract-relax is preferred when range of motion is good and pain free. Stretches should always be pain free and moderate, you should always use good body mechanics. range of motion try a PNF Stretching routine. flexibility, aid in recovery, and increase circulation. as a pre-warm up to your routine. Aromatherapy is included with all therapies as part of your treatment. Inhaling aromatherapy with the appropriate fragrance can reduce stress, lift a depression, hasten a good night's sleep, soothe your soul, or give you more energy. Just to name a few. all it takes is a few drops of essential oil in a carrier lotion then apply and you get the benefits of the aroma while you get your massage and then follows you home to enjoy.